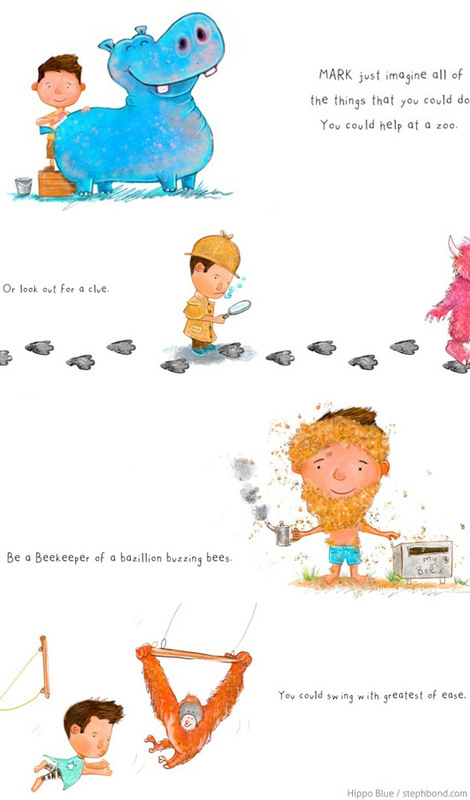 Brett Curzon is a pretty fabulous Australian author and illustrator who has teamed up with Bondville sponsor Hippo Blue to create The Adventures You'll Have - a fun 32-page kids' book about being unique and special, and having the inspiration to Dream Big. Even better - the book is available with either a boy or girl main character and can be personalised with your child's name; and we know how much kids love to see their own name printed! Having your child referenced as the main character puts them front-and-centre in this story of self-belief. 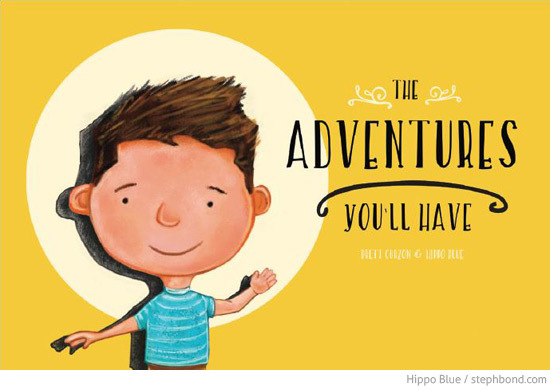 The Adventures You'll Have book was created by Australian personalisation publishing experts Sam Dickson and Thin Neu from Hippo Blue in collaboration with local author and illustrator Brett Curzon, well-known for his children's book Bill The Fish. The Adventures You'll Have aims to help kids to be excited by the possibilities and adventures of life and their unlimited potential. 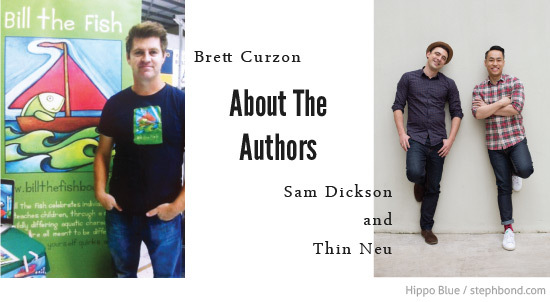 Author Brett Curzon says about the project, “What really inspires me is the ability to strike the imagination of children, and show them that the world is their oyster. 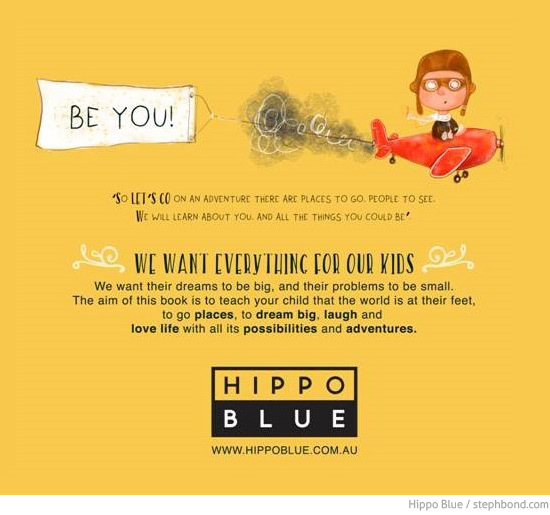 The opportunity to collaborate with Hippo Blue for the creation of The Adventures You’ll Have was really a no-brainer, since we shared the same values when it comes to encouraging children to be anything they want”. 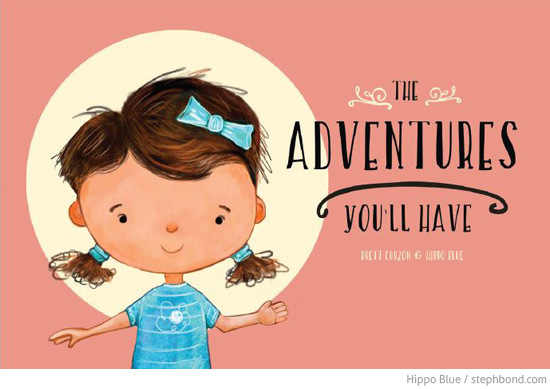 Hippo Blue's Sam Dickson says, “We were determined to launch a book that was not personalised for the sake of being personalised, but which would create a really strong emotional connection between the story and the reader through the celebration of their name”. Co-creator Thin Neu adds, “At a time when bullying still exists and has sadly crossed over into the digital world, we feel that this book really encourages children to be whatever they want to be. In saying that, it is also a gentle reminder about the importance of being kind to others along the way”. You can find The Adventures You'll Have in the Hippo Blue online store.